Having Cancer is hard enough. Paying for everyday basics shouldn’t be. 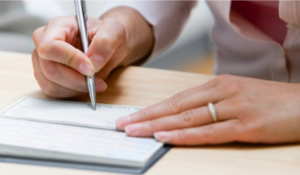 When you have cancer, the last thing you need is to fill out pages of forms to apply for money to have groceries, electricity, or childcare. NWHH helps patients where they are, with immediate, tangible help. No hoops, just help. NWHH serves breast and gynecologic cancer patients in the northwest who receive treatment at Swedish Cancer Institute. Your donations stay local, helping local women. Nobody should go through cancer alone. Your gifts offer hope so that women can focus on healing. Give the gift of hope. . . Some women need financial help to make it through, others need a reminder that their community is there for them. Our healing baskets provide practical and pampering gifts that let women with breast and gynecologic cancer know you are not alone. You Are Needed More Than Ever. In 2015, more women than ever needed our financial assistance, and we expect even more requests for assistance in 2016. We want to be there for every woman who needs our help… but to do that, we need your help. Please, donate now. . . When you’re fighting to survive, you shouldn’t have to struggle to eat. 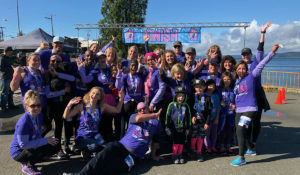 Northwest Hope & Healing provides immediate financial assistance to local women undergoing breast or gynecologic cancer treatment at Swedish Cancer Institute who are struggling to meet their basic needs. Studies show that cancer can be financially devastating to women and their families. Our financial grants pay for necessities such as food, utilities, and childcare so that women in our community can focus on healing. Northwest Hope & Healing is a 501(c)(3) non-profit, EIN #20-0799737. The state of Washington has the highest rate of breast cancer in the country. 4,000 of our sisters, daughters, mothers, wives and grandmothers are diagnosed each year in this state. 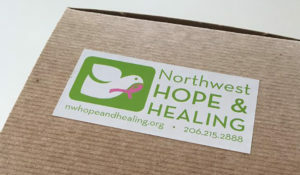 Since its inception in 2000, Northwest Hope & Healing has provided over 10,000 Healing Gift Boxes to newly diagnosed breast or gynecological cancer patients, and raised close to $2,000,000, which has assisted over 2,500 patients and their families in financial need—right here in our community.